LOOK: Are you in our Mansfield Town fans gallery? 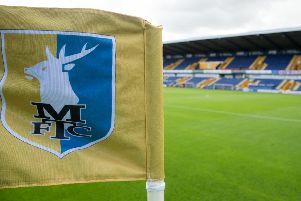 Mansfield Town fans are beginning to dream of automatic promotion after Stags turned on the style to defeat Barnet. They won 3-1 to move up to fourth in the table after an impressive third straigh win. Take a look at our gallery and see if you can spot anyone familiar in the crowd.